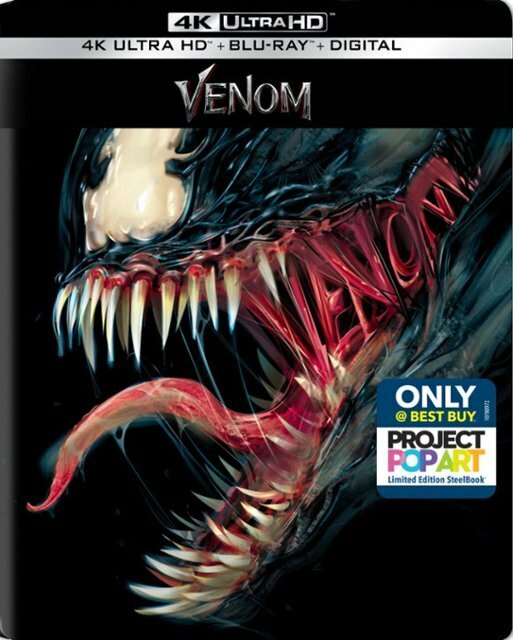 Venom hit theaters in October, and is now available on DVD and Blu-Ray! The movie- despite receiving harsh criticism- was a favorite among fans. The movie was made available digitally last week on December 11. With over an hour of bonus features-including deleted and extended scenes- behind-the-scenes documentaries, music video from Eminem and more. There is also a Pop-Up Video viewing option called ‘Venom Mode’. When watching the film pop-ups will appear throughout the movie and give information on the comics and other Easter eggs. There are three deleted and extended scenes. Behind the scenes footage and documentaries include showing some of the movie’s stunt work and filming techniques as well as the development used by VFX artists bringing the symbiote to life. There is also some bonus content from Spider-Man: Into the Spider-Verse. The 4K Ultra HD features a different cover than the Blu-Ray and DVD. 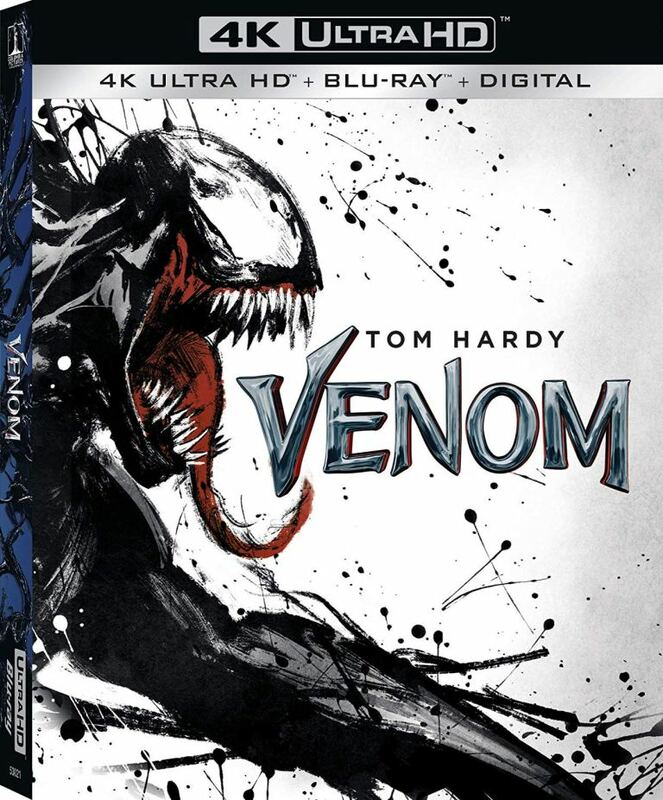 Venom’ 4K Ultra. Courtesy of Amazon. Best Buy has an exclusive Steelbook version as well. Bring Eddie Brock and his symbiote home today, just in time for the holidays!